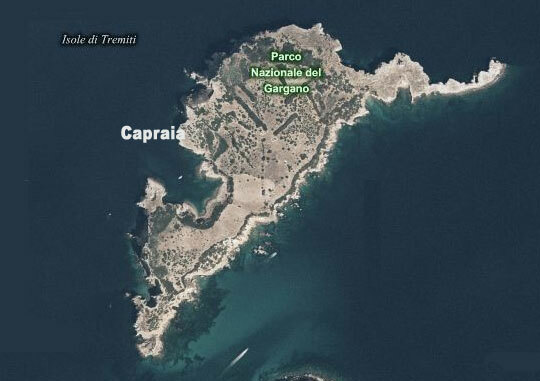 The island of Capraia, once woody but now flat and bare, is utterly desolate. Man's presence is seen in the shape of the lighthouse. The imposing Grottone is a cavernous basilica with 25 metres of vault, where the fishermen shelter when the weather is very bad.